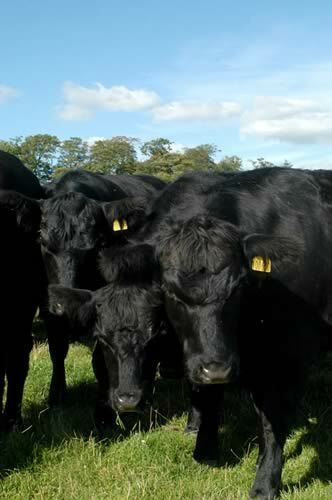 So far 0.71% of tissue samples from calves have tested positive for BVD. Where blood samples have been taken to confirm that these calves are persistently infected, 89% have again been positive. Due to the thickness of envelopes containing tissue tags, Royal Mail considers these all to be “large letters”. Please ensure that correct postage is paid to avoid delay or return of samples. The current minimum cost for postage of a large letter to a UK laboratory is 90p, which should be enough for up to 10 tags. If in doubt take envelopes to the Post Office to confirm the correct postage as “large letters”. Please include your herd number/return address on the envelope. Calves must be registered with APHIS before results can be reported, so ensure registrations, including aborted, stillborn or dead calves are done promptly (preferably using APHIS on-line). If you are not receiving results to your mobile phone contact AHWNI to provide a current number to ensure you receive results as quickly as possible. Herd Owners can log into the AHWNI database at www.animalhealthni.com using their government gateway username and password to access their results. This also gives access to all letters and reports issued to the herd and allows declarations of negative results to be generated. It is recommended that all herd owners grant their PVP access to their test results on the AHWNI database. This allows positive results to be followed up and appropriate advice to be given. If you have not yet granted access for your PVP, please contact AHWNI to do so. These include testing all calves born (including aborted, stillborn and dead calves), carrying out all necessary follow up testing after a positive result and not selling any PI or suspect animals. It is important that the dams of positive calves are tested to ensure that they are not PI. It is also strongly recommended that PI animals are disposed of as rapidly as possible. PI calves will typically not survive or thrive to reach slaughter weight. More importantly, even where attempts are made to isolate them, there is a significant risk that retention of PIs will result in infection of more pregnant animals and the birth of larger numbers of PIs the following season.